Today’s traffic-watchers are treated to an almost endless parade of some of the sleekest vehicles ever to see pavement. These days it’s usually in the interest of fuel consumption; but in certain vehicular classes it also has a lot to do with speed. But over the years, sleekness didn’t always seem to be a high priority. 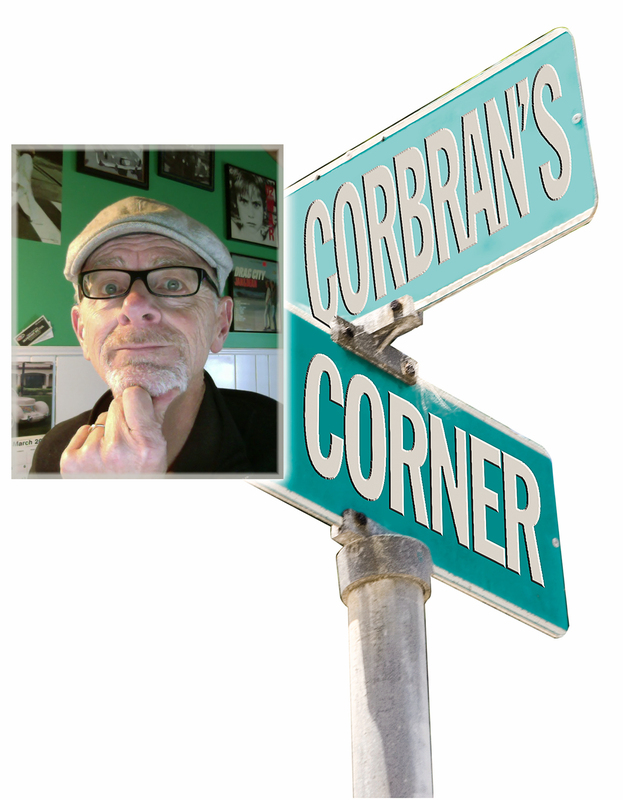 Why, if you go back to the 1930s, when most cars and trucks resembled not much more than a set of boxes on wheels, Chrysler Corporation, with much fanfare, introduced their Airflow models in the Chrysler, Imperial, and DeSoto lineups. Sales tanked for the introductory year of 1934, so much so that a hasty retreat was made to bring more of the conventional, non-aerodynamic models back into the showrooms to boost sales. America wasn’t ready for what Chrysler called in their 1935 brochure, cars with “…new hood lines that flow gracefully backward allowing the car an easy entrance through the air.” Now that’s some prose! 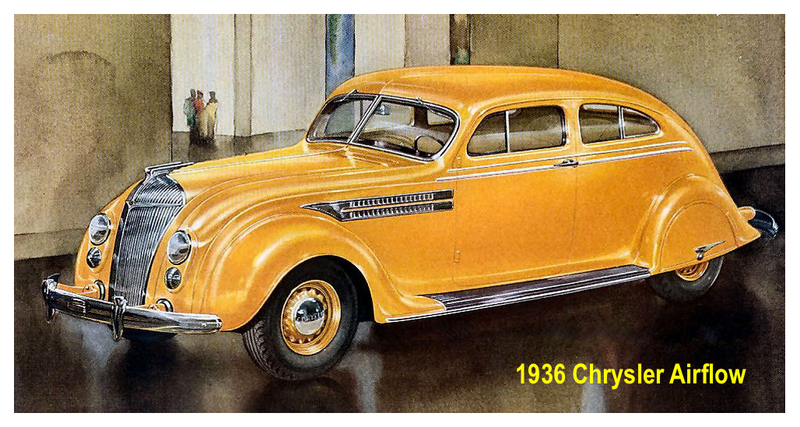 But even the more-conventional 1936 Chrysler can’t hold a candle to the boxiness of some of the vehicles which would come decades down the road. Willys Motors announced a new delivery van for 1961, the Jeep Fleetvan. Used primarily, but not exclusively, by the U.S. 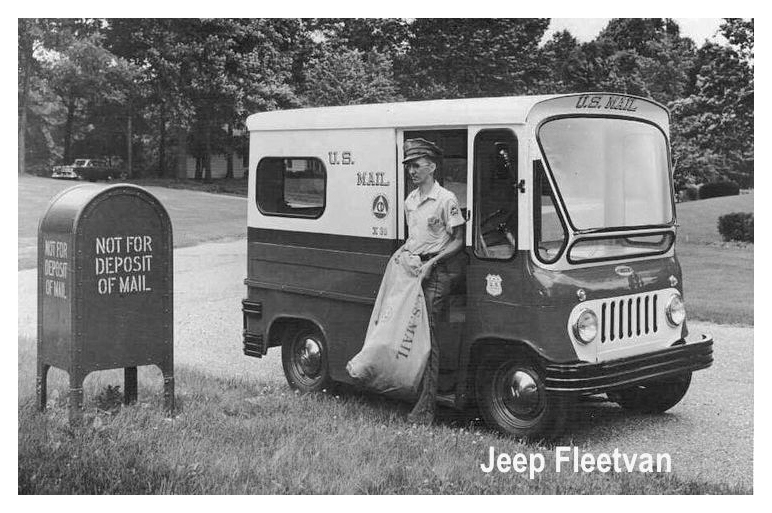 Postal Service, the Fleetvan was the proverbial box on wheels. Willys touted its compact size, noting that five Fleetvans could fit in the space of four nationally-advertised competitive vehicles. And being right up front, literally, Willys claimed that the driver could “…see a three-foot high object on the road only 12 inches from the front bumper.” No mention was made in the brochure of side winds or potential frontal collision problems. 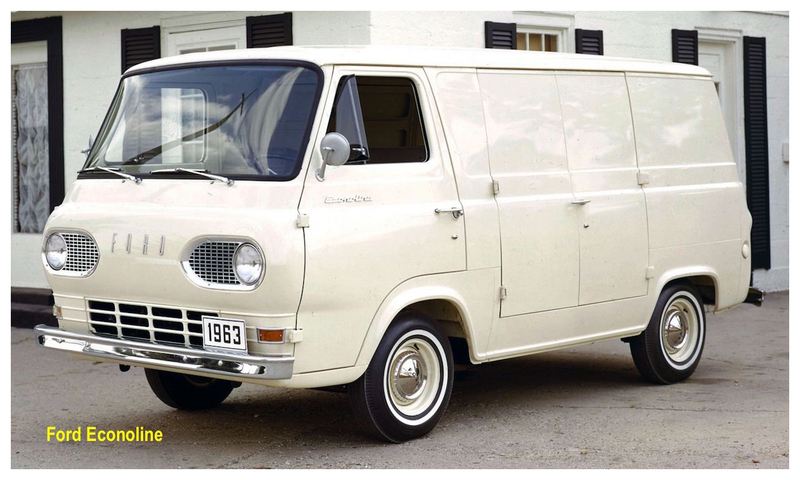 A bit more mainstream was the Ford Econoline van of the early 1960s (and similarly-shaped vans from Chrysler, GM, and Volkswagen). In their brochure, Ford mentioned how the “Doors open wide. A handy inboard step eases entry and exit.” Yes, it helped you climb up over the front wheel which you’d pretty much be sitting on top of, with your face about a foot away from the car in front of you. Again, no mention was made about not pressing so hard on the brake pedal that your foot comes through the grille. Volvo was never known much for aerodynamics back in the 1970s. 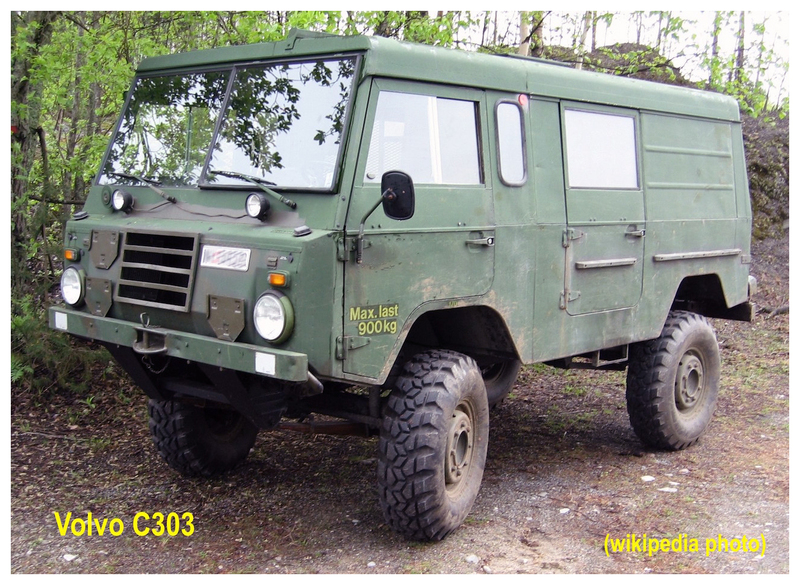 But they really took boxiness to an extreme with the C303 4x4 (and 6x6) military vehicle. Taking form follows function to an extreme, the C303 wastes no interior space with the superfluous use of rounded corners. Apparently Volvo designers were given the directive to disregard their entire toolbox save the straightedge. This one looks especially tipsy to me. 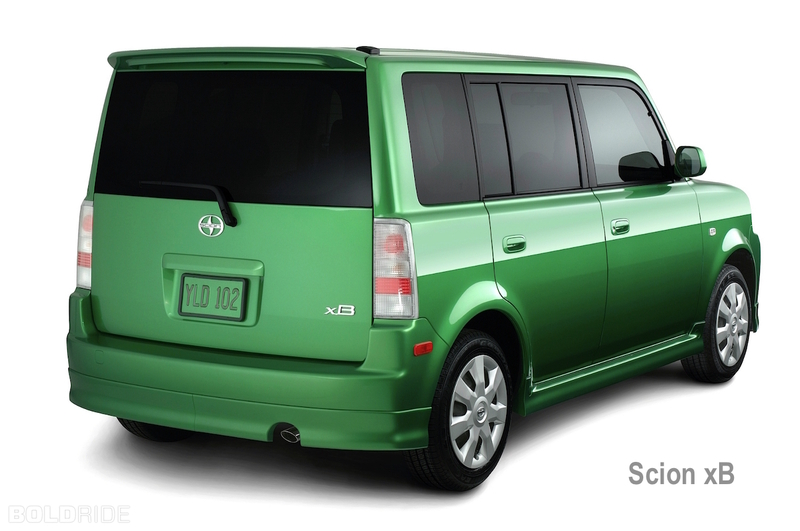 There’s a certain charm, not to mention utility, to these boxy vehicles. Something that wind tunnel aficionados probably wouldn’t understand. But, being pretty square myself, I get it.